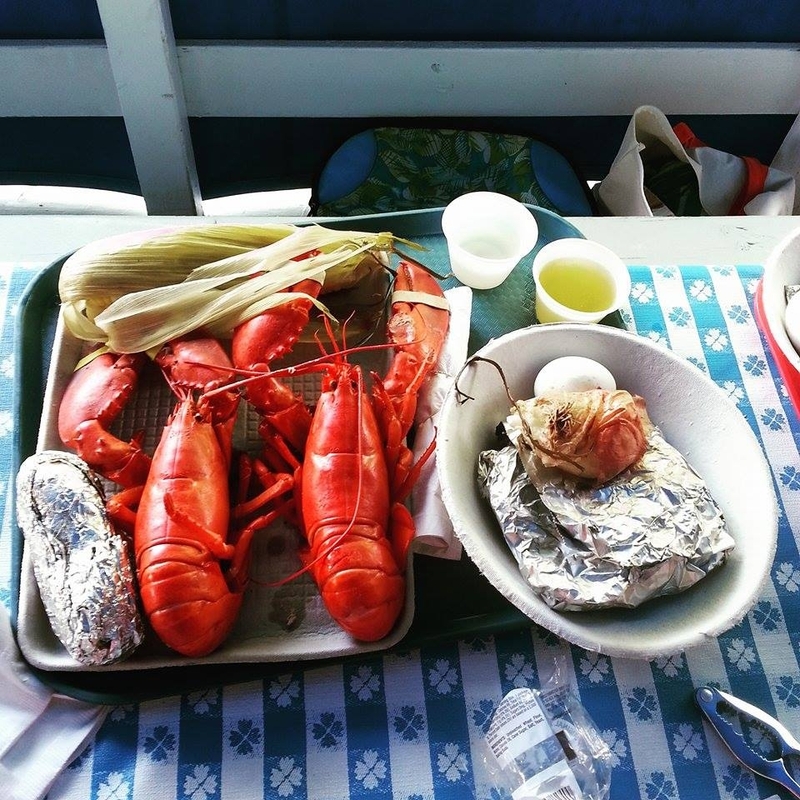 If you are looking for an authentic, historic lobster experience in Southern Maine, try a Cabbage Island Clambake. Cabbage Island Clambakes offer traditional New England Clambakes on an island off the coast of Boothbay. The Cabbage Island clambake experience starts at about noon when visitors board the Benny Alice and go on a scenic boat ride of the area, passing by lighthouses, sailboats and working lobster boats on the way to Cabbage Island. Upon arrival at the five and a half acre, family-owned island, you are greeted by the Moore family and the Cabbage Island Clambake crew who talk you through the clambake process and invite you to explore the island before being seated at a picnic table outside or a table inside the house for the feasting. The Cabbage Island Clambake dinner includes a starter course of clam chowder. This is followed by a tray heaving with two lobsters, steamed clams, corn on the cob, onion, hard boiled egg, and a baked potato. All of this is cooked the authentic way….wrapped in seaweed and steamed under special tarps and rocks. The meal is topped off with homemade blueberry cake for dessert.